At least two people were killed and six wounded after an eight-storey residential building collapsed in Istanbul on Wednesday, the governor’s office said. 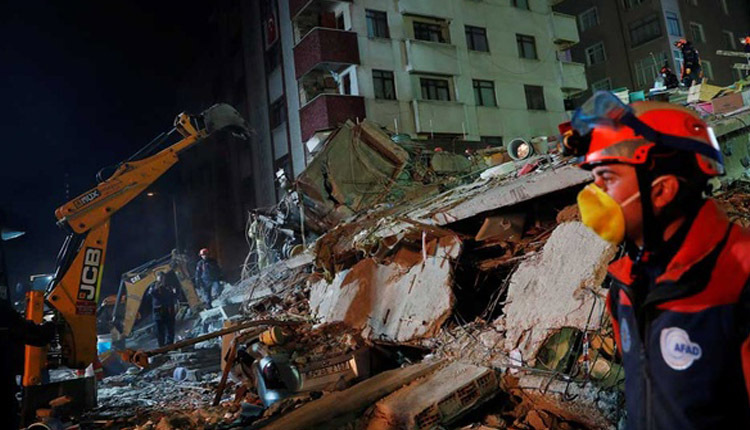 It was not immediately clear why the building, in the Kartal district on the Asian side of the city, had collapsed. Istanbul Governor Ali Yerlikaya told reporters at the site that 43 people were registered in 14 apartments at the address, but that the top three floors of the building had been built illegally. Yerlikaya also said there was a textile workshop on the ground floor that was operating without a license. The chairman for Turkey’s Disaster and Emergency Management Authority (AFAD) said search and rescue operations were underway. President Tayyip Erdogan sent the interior and environment ministers to the site, state-owned Anadolu agency reported. Emergency teams pulled at least three people out alive as crowds surrounded the site. Roads leading to the building were blocked by vehicles and crowds.